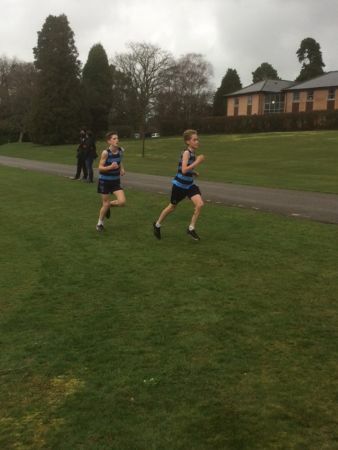 Hosted by Worth School, the Junior Cross Country Championships affords the athletes from Saint Ronan’s the opportunity to run against schools from Sussex – those from Ardingly and Cumnor proving quality competition. 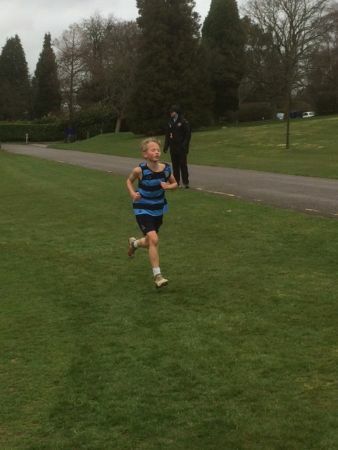 The course is longer than those in local Kent Prep Schools: 3.3km for the U11s and U13 girls and 3.7km for the U13 boys. 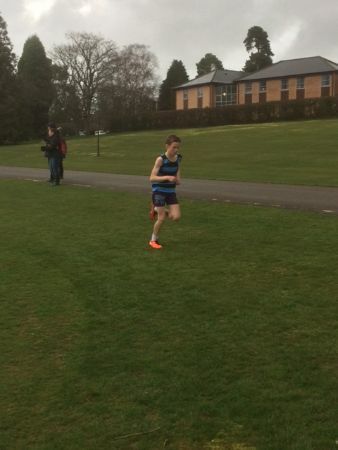 The word had clearly spread; there were more schools competing this year which made for more exciting races. First away were the U11 girls; the course taking them out through the gates in front of the main school building, down across the golf course then into the woods, following a track that looped around, then came back, dipping down, then up a short steep hill before finishing on the turf in front of the main building. The Saint Ronan’s girls made a steady start, with Lottie H and Millie DH working their way through the field to finish 7th and 8th. JoJo CM was next to appear from the woods, in 23rd and Clara S completed the four-to-score team in 27th place. Well done girls. 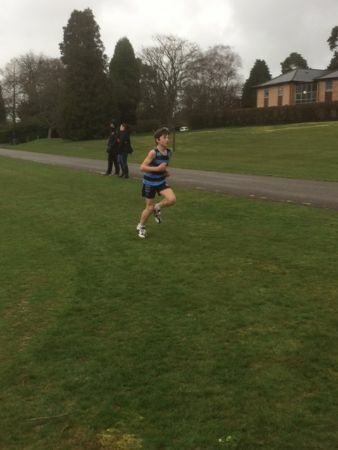 Our U11 boys’ team of Jack E (10th), Orlando S (14th), Oscar B (17th) and Max M (19th) finished an excellent third, behind Ardingly and Cumnor House; Jacob J (three races in five days!) and Lucas CG completing the SRS representation in 21st and 22nd. Super running boys! Illness and other commitments prevented us fielding a full team in the U13 girls race but Bea (11th), Lettice (32nd) and Freya (33rd) tackled the course with customary determination (and humour! ); all looked strong as they crested the hill and ran for home. The U13 boys had to complete an extra loop of the golf course on their way out to the woods, this also included a long steady incline to tax the legs. Charlie E had his eye on a medal as he hit the drive on the final run-in but had reckoned without Ardingly, whose third scorer put in a final spurt which took him from fifth into Charlie’s third place. 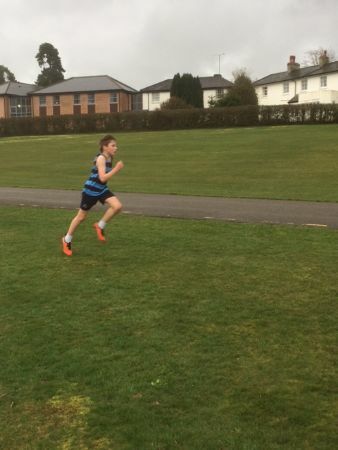 Fourth is the toughest place to finish, but Charlie should still be proud – along with eight other members of the squad, he had run three races in five days! 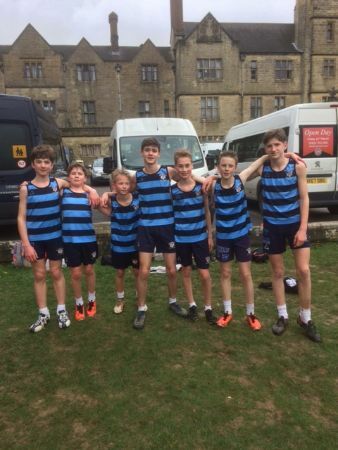 Completing the four-to-score team were Ellison VR (11th), Jasper S (12th) and Archie W (16th); excellent running from the lads which resulted in the team finishing second to Ardingly (who had first, second, third and eighth!). 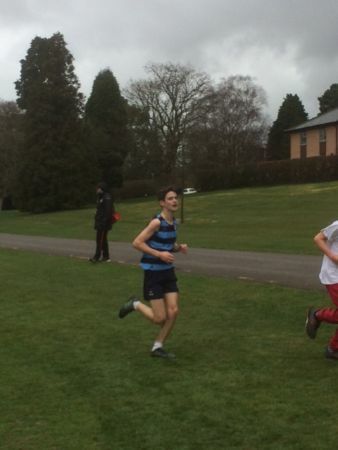 There were fine performances too from Max R (17th) and Charlie M (33rd), Arthur VdB, who had done very little training, putting in a determined effort to finish 47th. Wonderful work boys; a good afternoon all around!